Designed and screenprinted by me for Here Lies Goliath. 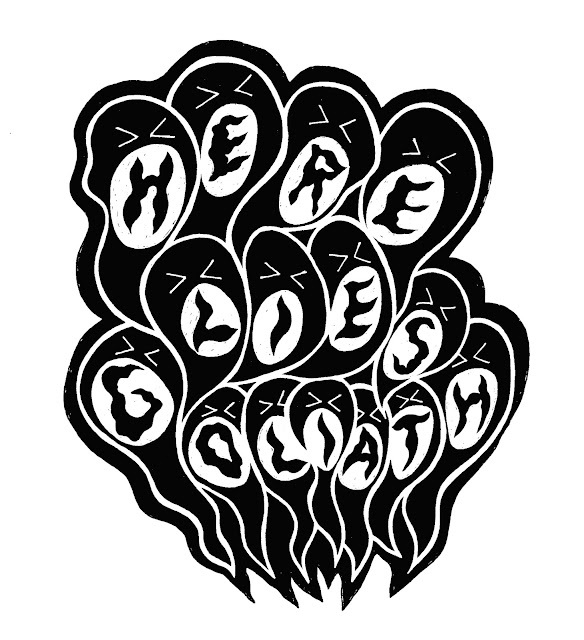 Just did this T shirt design for Here Lies Goliath, will be printing it (red on white shirts) very soon. I was asked by a friend who is currently doing some work for creative agency Noesis to re design their logo, just to give him an idea of what I'd do if it were up to me. This was just one rough idea I had, totally unsuitable for a company like that, but I liked it so thought I may as well stick it up on here. UPSET THE RHYTHM 500th SHOW SPECIAL!!! Just finished printing these very special shirts for the hardest working collective in show business' 500th show, featuing the poster for their very first show from way back in 2003 - DEERHOOF! There are only 50 of them, in a multitude of 3 colour combinations, each one pretty much unique. They will be available at UTR 500!